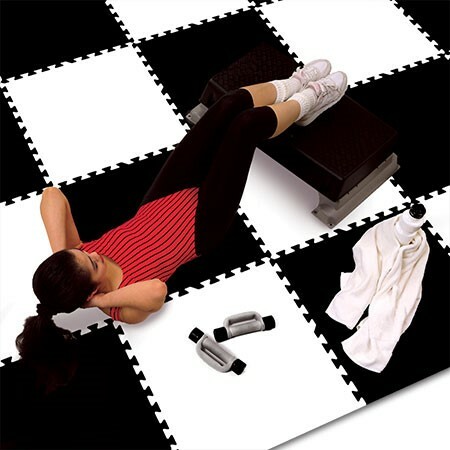 Multi-functional rubber flooring products are perfect for use in applications such as exercise rooms that require enhanced comfort underfoot, reduced noise from foot traffic, built-in slip resistance and minimal maintenance. Today, many exercise rooms and gyms are located in the comfort of one’s own home. Rubber flooring products are necessary as they provide protection to the existing floor against abrasions from the heavy equipment as well as discoloration and serious cracks. In addition, rubber flooring products provide enhanced levels of comfort and traction.